This time I’m writing about winter mountain journeys that straddle the line between big hillwalking days out and mountaineering. What do I mean? Somewhere in between walking and climbing, with snow and consequences, on big, burly hills and preferably a bit off the beaten track. The kind of winter outings I like best include use of hands and feet, but aren’t necessarily what climbers would consider serious ground. 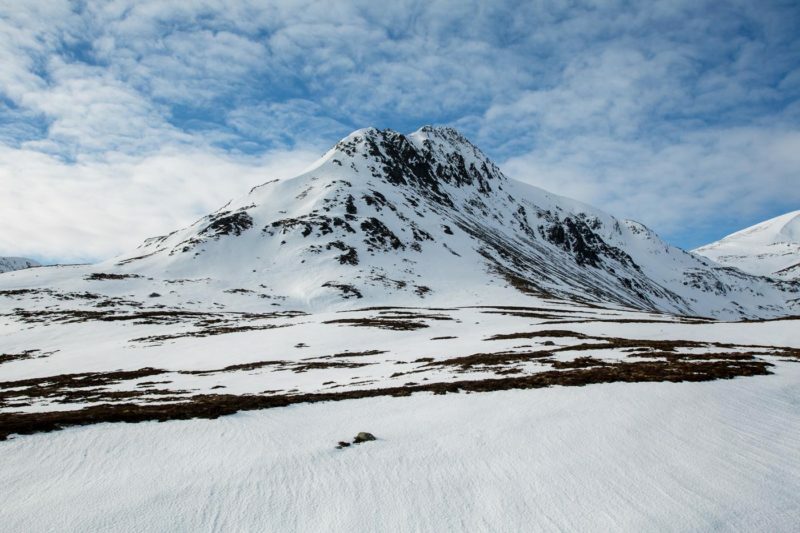 Most things here are classed as a summer scramble at grade one or thereabouts, but in winter they are reclassified as graded mountaineering routes – a step beyond what is usually featured on Walkhighlands. It’s worth taking that reclassification seriously. Any one of these has greater risk attached than a bimble up something round on a stalker’s path. Then again, there’s an old adage that all winter hill walking is mountaineering, and that point is well made for safety’s sake, especially to those who haven’t developed the necessary acquired taste for Scottish conditions: Rainy 4am motorway starts, bad coffee and breakfast rolls, slush and mud on the walk in, black ice under foot and a hood full of graupel, chafed lips, frozen snot and a windchill cold enough to chill tea while it’s still in your flask. That’s if you’re lucky. Ah, the fresh air and romance of it all. Before we get started… don’t do what I did; go straight for the famous ones and scare yourself witless. You can come back to Beinn Alligin, Ledge Route, Curved Ridge or Liathach later, when you’ve got used to occasionally having your heart in your mouth, and you’ve done at least some of them in summer! 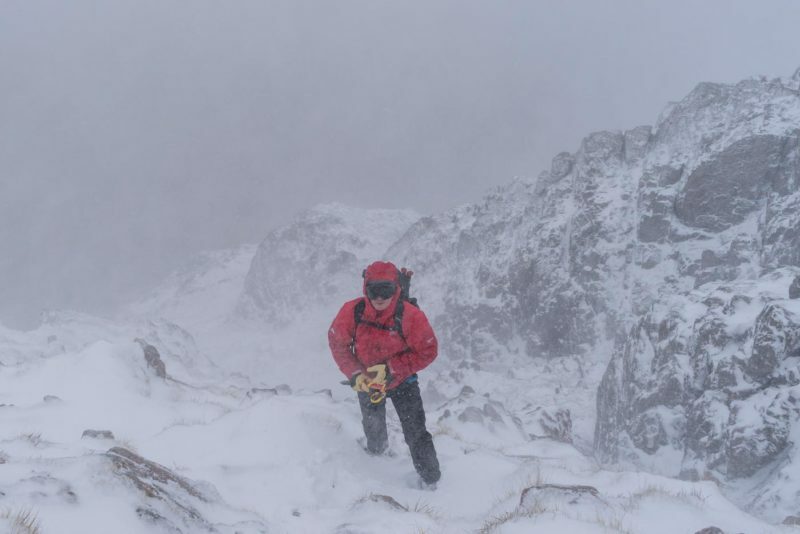 To attempt any of the suggested routes below, please be confident in your winter skills: Take a course or two, know how to navigate a whiteout, be comfortable in your crampons, have used your axe for long enough that it needs a sharpen at the start of the season and have, at the very least, 2 or 3 dozen regular Scottish winter hill walking trips to draw on. Starting out, it’s wise to have done plenty of summer scrambling – at least a grade harder than your winter choices – and to go with someone who has more experience that you – be it a professional guide or a friend. All the usual caveats about warm clothes, lots of food and fluid, spare torch batteries and several pairs of gloves apply, and I’m obliged to remind you that avalanches are on the rise here in the UK. 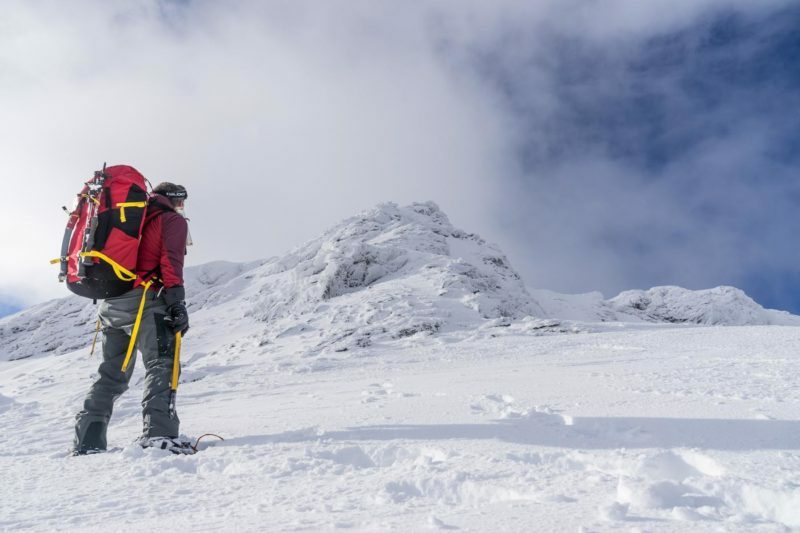 There’s a new campaign called ‘Think Winter’ which encourages you to plan ahead, factoring your hill companion’s fitness, kit and skills, the weather and snow conditions, timing and navigation and have alternative ideas for the day in hand, for those times when you need to change your original plans. We’ve already lost a few souls in the hills this winter, so as they probably say in Alien 3… stay frosty. I began my own amateur mountaineering on Ben Alder, and a grade 1 ridge called the Long Leachas, which extends NE of the hill. In my view it’s less technical than Fiacaill but is much longer and more remote (a bike into Pattack from Dalwhinnie is useful). Lower down it’s broad, and steep enough to dagger with the axe on all fours, later on it narrows and levels off, becoming more of a rocky arete. Expect some body sized boulders to slither up and around, allowing you to practice palming off and finding axe placements. It may be quite long but you can relax inbetween the tricky sections, so it’s not sustained or pressure-filled as long as the weather is kind. However, it’s how these routes feel subjectively to you, not me, that’s a key part of how you will cope as a newbie. 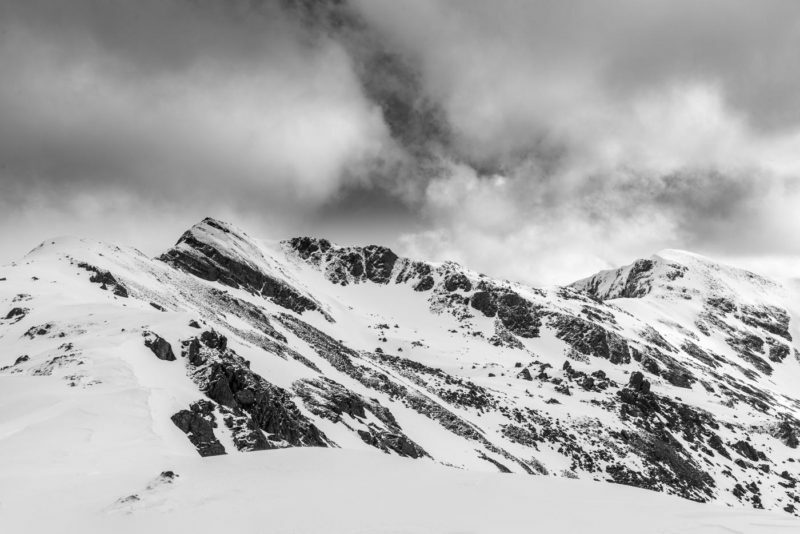 For me, the route’s remoteness more than made up for its lack of technicality, and that atmosphere – being engaged with snow and rock on a different side of the mountain – is something I still prioritise over harder things. Topping out also meant I enjoyed a full traverse of the plateau before reaching the actual summit, which you don’t get to do by the more usual route. It engendered confidence as well as reflections on risk and reward. As long as I keep my feet on the ground, maybe even late-starter urban wastrels like me can try this mountaineering lark? The Long Leachas is not to be confused with the short one, a slightly harder route to the east that I’ve yet to try myself. And don’t confuse it with Lancet Edge either, which is across the glen to the west and a more serious proposition. On the map this is Sgòr Iutharn, a NE spur attached at arm’s length to Geal Chàrn. Most seem to class this as a grade 1, and while it’s not very techy at all, it is very narrow and exposed with long run-outs on massive snowbanks – so the consequences are real. The risk of avalanches is objectively lower on ridges than on slopes, but this one might well be the exception, so check with SAIS before you go… and check again. Any windslab on the day and I’d avoid like the plague. There’s a crux section about ¾ of the way up, where a low rib of rock bars your way, which I shimmied along using a technique those proper alpinists called ‘a cheval’ (literally, ‘on horseback’). You top out onto a huge, snowy expanse, so have your navigation skills honed should you get white out conditions, as I did. Psychologically, this is a step up from the broken, mixed ground of the Long Leachas, and more sustained in that the experience of exposure is greater, for longer. is also well worth your time. Just off the A82, but you’ll need a good couple of hours for the walk in if you are leaving the car at the Glencoe ski area. Grade one, and of medium length, there are plenty of ways to sidestep the more serious bits – stay on top of the boulders for maximum effect, dodge to the right to scramble up steep, turfy and broken ground to a broad ledge, should the weather or exposure get too much. It’s a great route to get you thinking about route finding and problem solving. For the final section we dodged a bulge of rock that stopped us in our tracks and ducked around to the left to find a shallow gully. 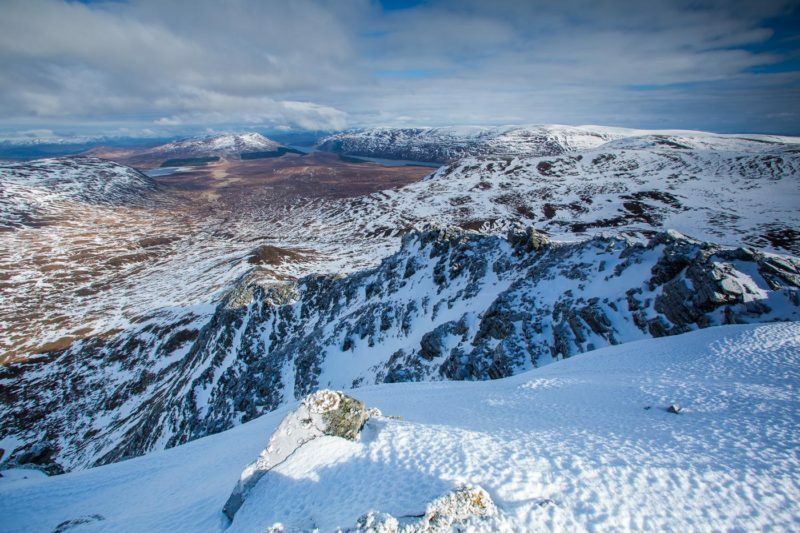 Beware – you are still a long way from the top of Creise itself, and if you are planning on a circuit back to the car, there’s a bouldery bealach to cross before you get to the ski area on Meall a Bhùirudh. It’s still a fairly hefty day in winter conditions. We made a lot of mistakes on this one – leaving Glasgow too late and not having the right gear, so we’ve taken to wearing harness and helmets, and carrying a 30m rope and a few slings and nuts. For some this might seem like overkill, but I for one feel safer knowing I can chuck a sling around something and attach myself to the hill, should I meet an obstacle or get tired. When you do these routes in a team there’s also the safety and comfort of your friends to think about, so even a quick friction belay can make all the difference between raised eyebrows or brown trousers. 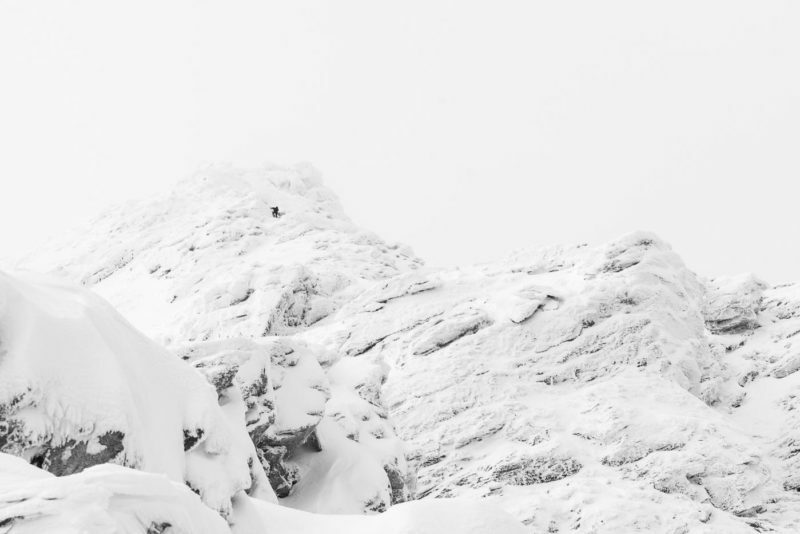 There are some great summer scrambling and winter mountaineering courses run by some of the mostly highly trained professionals in the world, right here in Scotland – just sayin’. 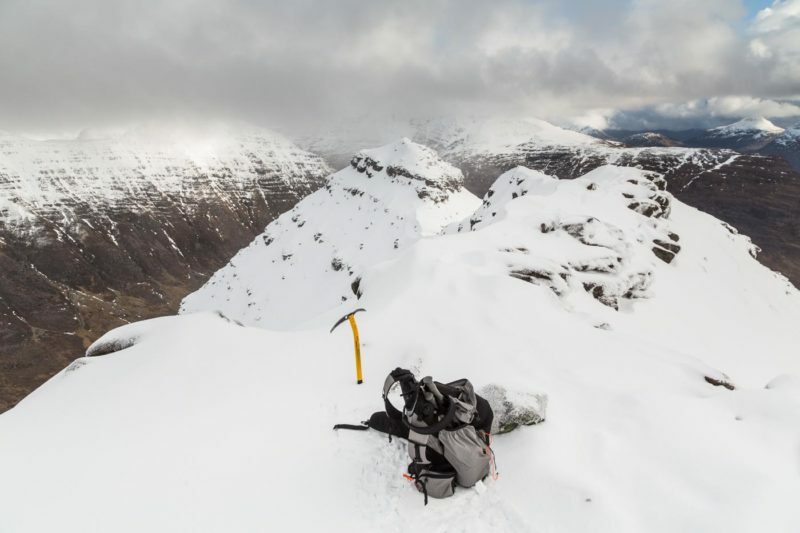 Taking a step back and thinking about the ‘why bother’ of all this for a second, Streap – which translates from the Gealic as ‘climbing’ – is a fantastic winter mountaineering journey. It’s a muscular zig zag of a Corbett, a few KM north of Glenfinnan. I’m not sure it qualifies as a graded route per se, but there’s a short and very thought-provoking foot width arete just before the final pull up to the summit, on which there’s a small bulge about 2/3’s of the way up. In summer I’m told this can be bypassed to the left, but in winter it’ll probably be banked out. It certainly was for me. If you are over 6 ft you should be fine, us shorties will need to a’ cheval again. So, there’s only two small sections on this route that are at all technical, but… we are far from the madding crowds, climbing a mountain called ‘climbing’, completely engaged with our surroundings. Low in technicality, but high in psyche; to my mind, it doesn’t get much more atmospheric than Streap. There’s even a bothy en route if you like your creature comforts. The Mamores as an island, and the edge of a fogbow. Somewhere on the Schoolhouse ridge. School House Ridge and its associated Munros, high above Ballachulish, is one of the best days out I’ve had in winter conditions. Admittedly, the all-day inversion helped. Another grade one north-easterly finger reaches out to the school which gives the ridge its name, from a minor top called Sgorr Bhan (note – it’s not Beinn Bhan, which is a sometimes sometimes bouldery but not unpleasant walker’s route). Expect to pick your way up a narrowing ridgeline to reach a series of rocky steps. There is some run out and exposure here, so it’s useful to have helmets, harness and perhaps even that short rope to hand. There’s a slightly circuitous bail to the left and up a gully if you can’t manage the steps. At this point, it’s worth saying that snow conditions will have as much of a part to play in success as your own confidence and ability. 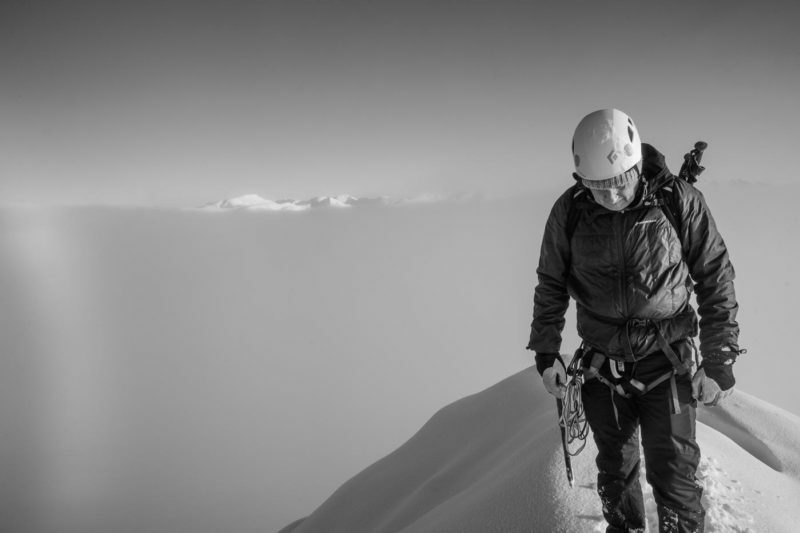 The first time we tried this, we backed off as windslab formed by the second under our feet, and the second time we used that gully instead of climbing over the steps – the snow was so soft we couldn’t get any purchase with our axes. The “wrong kind of snow”. I know – ridiculous. At the top of the Sgorr, there’s still a healthy dose of ridge ahead if you want to include the two Munro’s of Sgorr Dhearg and Sgorr Dhonuill, the last of which may also provide some milder scrambly fun if it’s not too plastered or banked out. Getting off the plateau west of the summit and back into the forestry is steep, and a long walk out awaits – leave yourself plenty of time and pack an extra pie. The usual route up Ben Lui tends to go up the back from Glen Lochy and the A85, but to see the mountain as it should be seen – as the throne of a mountain king (or queen) – take a bike in from Dalrigh to Cononish along a track for an exciting traverse up one arm of the throne and down the other. Get into the bottom of the coire, scrabble or wade up to the flat ‘handrest’, and make your way up the east ridge. The situation is spectacular. There’s a steep section of turf about 1/3 of the way up which is reckoned as the crux, but I had a more ‘interesting’ time further up, navigating the various mini-gullies and traversing out to the left around mini-bus sized boulders with my ridiculously sized pack on. It’s a big hill and can feel pretty extended in the top 1/3, but there are avenues of escape – just stay clear of stomach turning run outs into the coire on your right. It’s such a fabulous mountain it’s no wonder 30’s Clydesiders used it as practise for bigger missions in the Alps. My last suggestion is a favourite of a few guides, and yet another easterly facing, grade one ridge, on the quiet side of Beinn a’ Chaorrain… the Munro to the west of Creag Meagaidh. The hills in the middle of the country tend to achieve winter condition early on and stay cold, so turf is frozen sooner and the hills hold snow for longer. A relatively long walk in on the forestry track that handrails the Allt na h-Uamha lends a remote atmosphere to this little gem. Follow the Allt ban into the coire and aim for the right-hand spur. Gently weave up through crags, before the ground steepens and then narrows. There’s an icy runnel just after the middle, then a sidestep to the right which is exposed but is over quickly. The final 1/3 is more straightforward and you top out at the summit itself, with superb views over the Fersit Munros. 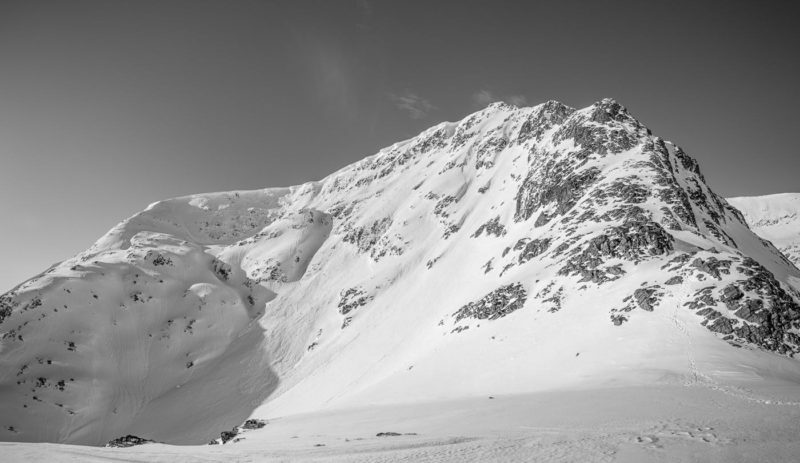 Beware the huge cornices to the north and south – this is a known accident black spot. Give the coire edge a wide berth before descending the much broader south ridge, to follow another burn back to the track. 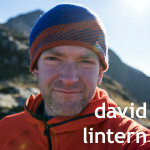 If you are starting out, please be safe… check your forecasts, go with others you trust, have a firm foundation in winter navigation, the use of axe and crampons and the essential Scottish winter experience to back up the theory, and perhaps leave the big, bad famous routes for another season.